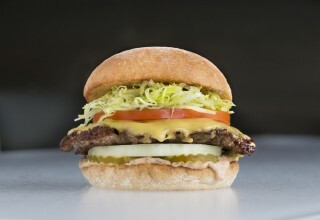 ROSEVILLE, Calif., December 10, 2018	(Newswire.com) - Burger Lounge, the California restaurant group known for grass-fed beef burgers, organic cheeses and their eco-friendly, transparent food sourcing, has announced their newest restaurant will be opening in The Fountains at Roseville on December 10th, 2018. The restaurant's concept elevates familiar food to new heights by using premium ingredients sourced specifically for taste. 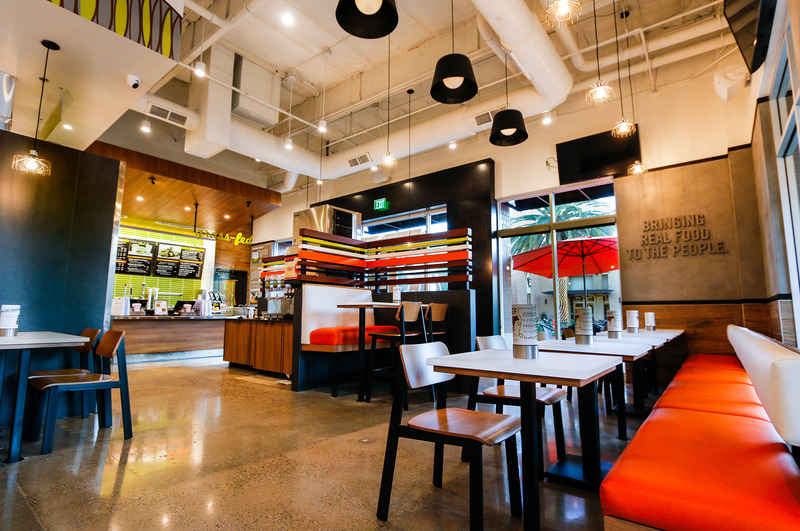 The Roseville location opens on the heels of Burger Lounge’s first Sacramento site at Downtown Commons and marks the group’s first foray into the suburbs surrounding the capital city. 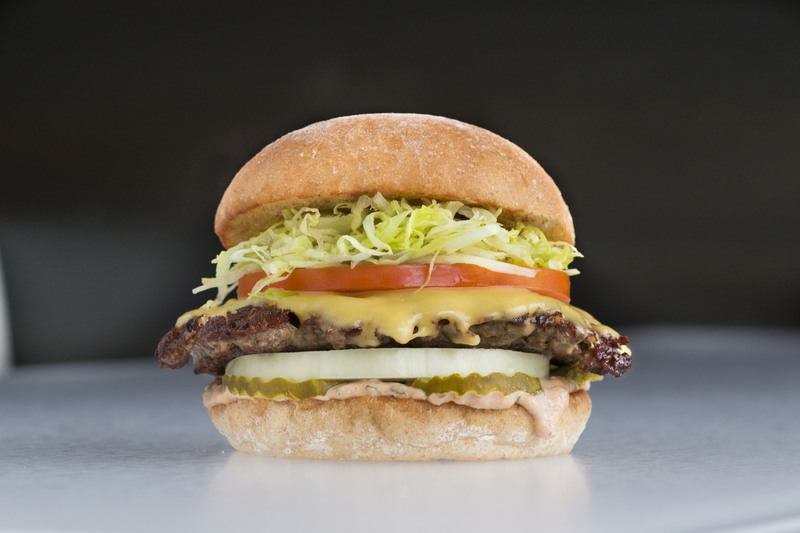 A Northern California native, Loring cites the special relationship Sacramento has with agriculture as one of the reasons for continuing Burger Lounge’s growth in the region. Burger Lounge carefully crafts offerings using ingredients from like-minded suppliers with transparent sourcing and taste as their top priorities. “Part of our ethos is to constantly build relationships with suppliers who share our values,” says Loring. An example is their partnership with Rumiano Cheeses, with whom they’ve co-created a proprietary organic American Cheese blend. The menu includes burgers and combo meals ($7.95 - $16.95) boasting fresh, 100% grass-fed, grass-finished American beef, free-range turkey, organic quinoa, fresh chicken, and sustainable Alaskan cod. It also features salads that are made with numerous organic ingredients and house dressings. Fresh-cut fries and onion rings are on the menu as well, in addition to craft beverages, local beer and wine, hand-scooped milkshakes, malts, and floats. Guest convenience is at the forefront of Burger Lounge Roseville. Online ordering will be available immediately after the grand opening, along with third-party delivery via UberEats and Postmates. Door Dash delivery will be available within 30 days of the opening. 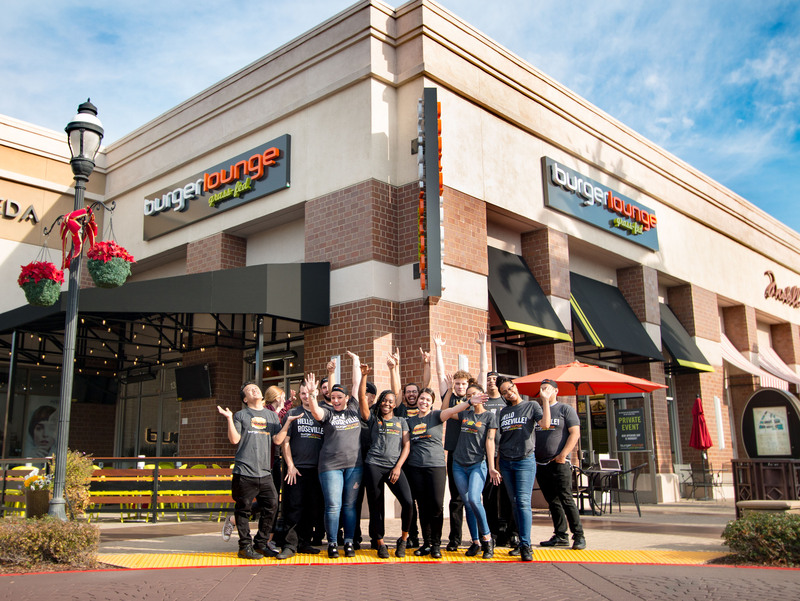 The Roseville opening marks the fourth Burger Lounge to open in Northern California this year, joining restaurants in downtown Sacramento, Campbell and Walnut Creek. Burger Lounge Roseville will be located at 1198 Roseville Pkwy., Roseville, CA 95678. The restaurant will be open daily for lunch and dinner. 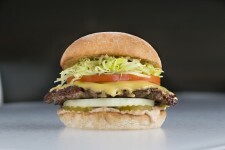 Additional information and menu details are available at http://www.burgerlounge.com/. Established in 2007, Burger Lounge was founded by J. Dean Loring and Mike Gilligan with the underlying philosophy that superior flavor and freshness come from ethically and sustainably-grown ingredients that are primarily organic, non-GMO and sourced from responsible growers and family ranchers. Each restaurant incorporates earth-friendly business practices reflected in such things as tabletops made from recycled water bottles and converted waste cooking oil that powers delivery trucks. 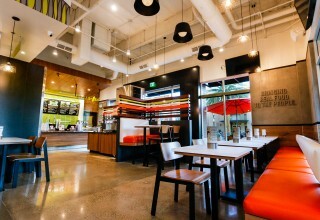 There are currently Burger Lounge locations in Los Angeles, San Diego, Orange County, the San Francisco Bay area, Sacramento and Las Vegas.